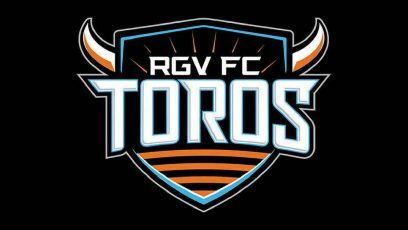 EDINBURG — Entering Saturday’s match with six draws in seven home contests, the RGV FC Toros came out with a pressing, aggressive mentality, upping the chances of a breakthrough for one side or the other. And though RGV again got the better of chances and possession, the Toros were yet again unable to claim three points, losing 1-0 to Portland Timbers 2. Nearing the halfway mark of the 32-game USL season, RGV FC stands just 1-5-7 for 10 points and a 14th-place standing out of 17 teams in the Western Conference. Saturday marked RGV FC’s first home loss of the year, evening up the team’s record at H-E-B Park at 1-1-6. The Toros have just one goal in their past five matches. Portland’s lone score came on the Timbers’ only corner kick of the first half, as captain Josh Phillips sent a header into the right side of the net from the middle of the penalty area in the 14th minute. Defending set pieces was a point of emphasis throughout the early part of the season for RGV FC, but the weakness appeared to be shored up as the Toros notched four straight home shutouts from April 25 through May 19. RGV FC, meanwhile, earned seven corners in the first half and 10 for the game. The Toros also had at least five free-kick opportunities in the offensive half. Echeverry said RGV FC has converted just one set piece into a goal this season. On Saturday, many of the efforts seemingly failed to account for the wind at the Toros’ back during the first half. “It’s shocking. It started with the service. The service was poor,” Echeverry said. The Toros also held a 16-7 advantage in shots and maintained 55.5 percent of possession. RGV FC put two shots on target to Portland’s four. RGV FC returns to action with a road match against OKC Energy on June 16 before hosting Phoenix Rising on June 23.